Other actors and entertainers soon gravitated toward his magnetic personality. With everything closed on Sunday because of New York City Blue Laws, a group of theatrical people began meeting for their own amusement under Vivian’s leadership. A loose organization was formed to make sure the larder was well-stocked for these gatherings. They called themselves the Jolly Corks, a name derived from a trick introduced by Vivian in which the uninitiated purchased a round of refreshments. 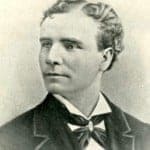 When one of their members died shortly before Christmas in 1867, leaving his wife and children destitute, the Jolly Corks decided that in addition to good fellowship, they needed a more enduring organization to serve those in need. On February 16, 1868, they established the Benevolent and Protective Order of Elks and elected Vivian to head it. Its social activities and benefit performances increased the popularity of the new Order. Membership grew rapidly. Elks traveling to other cities spread the word of the Brotherhood of Elks. 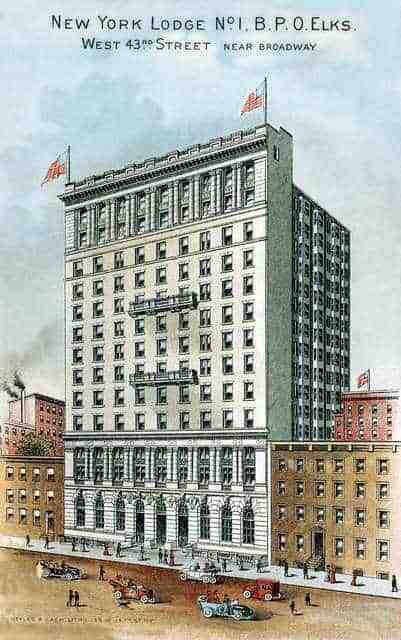 Soon there were requests for Elks Lodges in cities other than New York. 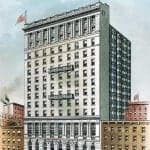 In response to these appeals, the Elks asked the New York State legislature for a charter authorizing the establishment of a Grand Lodge with the power to establish local Lodges anywhere in the United States. When the Grand Lodge Charter was issued, the founders then received the first local charter as New York Lodge No. 1 on March 10, 1871. Dissension soon erupted. Legitimate actors headed by George F. McDonald wanted to restrict membership to the theatrical profession. This view was opposed by Vivian and his friends. Taking advantage of Vivian’s absence due to an out-of-town engagement, the McDonald group summarily expelled Vivian and several of his closest friends. Years later the Order rectified this illegal act, but it gave rise to a controversy whether Vivian was actually the founder of the Order. In 1897, a formal inquiry firmly established his right to this honored title. Vivian continued, after his expulsion from the Order, to enchant audiences across the country. He starred with some of the largest road companies of the time. Together with his actress wife, the former Imogene Holbrook, Vivian set up a repertoire theater in Leadville, Colorado. 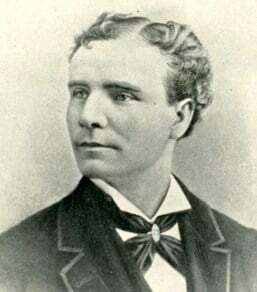 Shortly thereafter he died of pneumonia on March 20, 1880. In 1889, the Elks moved his body from Leadville, Colorado, to Mt. Hope Cemetery, Boston, Massachusetts. Mrs. Vivian received a stipend from the Order her husband founded until her death in 1931. The legacy of Charles Vivian continues to this day. In addition to aiding members in distress, the Elks raise money for children with disabilities, college scholarships, youth projects and recreational programs for patients in veteran’s hospitals. On June 14, 1907 the Order held a Flag Day observance. This tradition later was declared a national holiday by President Harry S. Truman. During World War I, the Elks funded and equipped the first two field hospitals in France and built a 72-room community house in Camp Sherman, Ohio, and a 700-bed rehabilitation hospital in Boston, which they turned over to the War Department. They also raised money for the Salvation Army’s frontline canteens. Their loans to 40,000 returning veterans for college, rehabilitation and vocational education were the precursor of the GI Bill. When World War II broke out, the Elks were the only civilian organization asked to help recruit construction workers for the military, a task that was completed three months ahead of schedule. The Elks also contributed more than half a million books to the Merchant Marines so that their men would have reading material on board ship. The Korean War again brought out the best in the Elks. They donated more than half a million pints of blood to help wounded soldiers. When the wounded from Vietnam needed help, the Elks responded. They provided the funds for a recreation pavilion at the Navy Hospital on Guam. The wounded at Tripler Medical Center in Hawaii were sweltering in the heat. When the Elks heard of their plight, they purchased 24 air-conditioning units so these patriots could recuperate in some degree of comfort. When Operation Desert Storm took place, the Elks again led the support for our fighting men and women in the Persian Gulf. Subordinate Lodges undertook letter-writing campaigns to help keep up the spirits of the defenders of freedom. The Elks were also among the first to welcome them home and thank them for a job well done. Our story is long; our work is humble; our history is proud. As long as there are those who need our help, the Elks will be there to give aid and comfort.